Australia’s captain Michael Clarke led the tributes at Phillip Hughes’ funeral in Macksville, where family, friends, team-mates, past cricketers, dignitaries and the public gathered to mourn for the batsman. The funeral service was broadcast live on Australian television and radio, and was also shown at the Sydney Cricket Ground (SCG), Adelaide Oval, WACA and Bellerive Oval, where mourners were invited to gather for a public viewing of the Macksville service. Hughes died aged 25 after being struck by a bouncer last Tuesday during the Sheffield Shield match between New South Wales and South Australia at the SCG. Eulogies were delivered by Hughes’ brother Jason and sister Megan, and his cousin Nino Ramunno, and tributes also came from family friend and fellow Angus breeder Corey Ireland, Cricket Australia chief executive James Sutherland, and Clarke. As Clarke struggled to hold back the tears before beginning his tribute, he joked that Hughes would “definitely be calling me a sook right now, that’s for sure”. Clarke spoke of the remarkable outpouring of grief that has come from around the world in the wake of Hughes’ death, and openly wondered if it was a tangible example of the much-mentioned “spirit of cricket”. 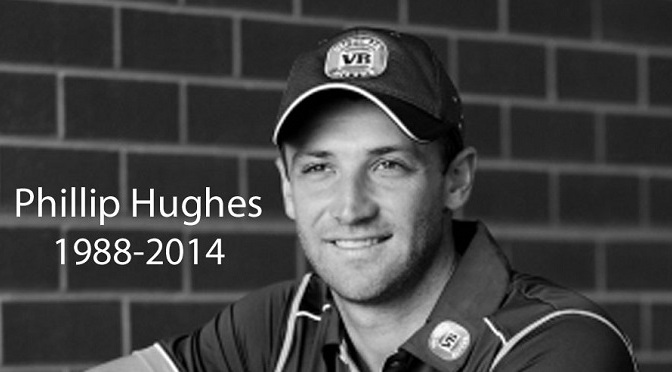 He said Hughes’ spirit was now “part of our game forever” and “will act as a custodian of the sport we all love”, and urged cricketers to “play on”. “Is this what we call the spirit of cricket?” Clarke said. “From the little girl in Karachi holding a candlelight tribute to masters of the game like [Sachin] Tendulkar, [Shane] Warne and [Brian] Lara, showing their grief to the world, the spirit of cricket binds us all together. We feel it in the thrill of a cover drive. Or the taking of a screamer at gully, whether by a 12-year-old boy in Worcester or by Brendon McCullum in Dubai. “It is in the brilliant hundred or five-wicket haul, just as significant to the players in a Western Suburbs club game as it is in a Test match. The bonds that led to cricketers from around the world putting their bats out, that saw people who didn’t even know Phillip lay flowers at the gates of Lord’s, and that brought every cricketing nation on earth to make its own heartfelt tribute. After the hour-long service in the Macksville High School hall, Clarke and the other pallbearers, including Hughes’ father Greg and brother Jason, and cricketers Aaron Finch and Tom Cooper, carried his coffin to the hearse outside, and a remarkable procession wound through the streets of the small town. Among many indelible images and words, that of thousands following Hughes through the heart of Macksville will not be forgotten in a hurry. The Hughes family, Clarke, his wife Kyly, and the Australian Test team walked together with locals, visitors, administrators and Australia’s prime minister Tony Abbott. Winding through Wallace Street, they made for a rare sight of shared grief but also collective memory of Hughes’ life. India’s acting captain Virat Kohli and coach Duncan Fletcher walked alongside Adam Gilchrist. Shane Watson and David Warner offered a sombre partnership in lock step together, and CA’s chief executive James Sutherland spoke with members of both the cricket and Macksville communities. They were all headed towards the Macksville Ex-Services Club for the wake, where tears and laughter were likely to flow in equal measure. At the SCG, a line of 63 cricket bats, one for each run Hughes score in his final innings, was planted into the turf, each one inscribed with a special moment or fact about Hughes. “‘He was 12 playing against 18-year-olds and even then he was a step above them,’ remembers Macksville High sports master Barry Lockyer,” read one of the bats. A photo memorial, flowers and cricket equipment were laid behind the stumps where Hughes was struck down last Tuesday. The pitch and centre square were roped off as a mark of respect, and the pitch on which Hughes played his final game will be retired and not used again this summer. In Adelaide, at Hughes’ adopted home ground, the Adelaide Oval, around 2000 people gathered in the Riverbank Stand and the Chappell Stand to watch on the big screen the service telecast live on Channel Nine. After the service the public was allowed to get to the main square and leave their flowers and tributes. It will be at Adelaide Oval that Australia’s cricketers will “play on”, as Clarke said, with the rescheduled first Test against India to begin there next Tuesday. 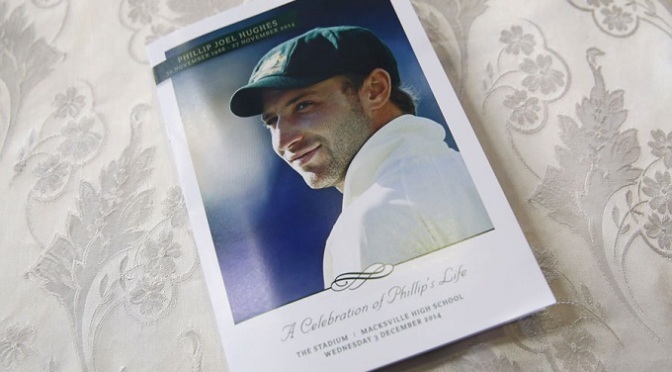 “It is my sad duty to inform you that a short time ago Phillip Hughes passed away,” Brukner said. “He never regained consciousness following his injury on Tuesday. He was not in pain before he passed and was surrounded by his family and close friends. Players, coaches and other friends had been in and out of St Vincent’s Hospital in Sydney throughout Wednesday and Thursday, visiting Hughes and supporting his family, and each other. Australia’s captain Michael Clarke, a close friend of Hughes’, had been at the hospital until after midnight on Wednesday night and returned at about 6am on Thursday. Brad Haddin, Steven Smith, Shane Watson, David Warner, Nathan Lyon, Moises Henriques, Mitchell Starc and Daniel Smith all spent time at the hospital, as did Ricky Ponting, Simon Katich, Phil Jaques and Brett Lee. Some flew in from interstate, including Aaron Finch, Matthew Wade, Peter Siddle, Peter Forrest, George Bailey, Ed Cowan, Justin Langer, and Cricket Australia’s CEO James Sutherland and high performance manager Pat Howard. The national coach Darren Lehmann was there as well. Also keeping vigil at the hospital were the Hughes family, including his mother and sister, who had been at the Sheffield Shield match between South Australia and New South Wales on Tuesday when Hughes was struck by the bouncer while batting on 63. “The entire NSW cricket community offers our heartfelt condolences to Phillip’s mother and father Virginia and Greg, sister Megan and brother Jason at this most difficult of times,” John Warn, the Cricket New South Wales chairman said. “Their grief is being felt across the country and around the cricket world as the extended cricket family comes to terms with the sad loss of a very popular and talented young player. Andrew Jones, the Cricket NSW chief executive, said: “Phillip is fondly remembered as a bright and cheeky young man with an infectious smile who emerged as an outstanding junior more than a decade ago. Like so many NSW and Australian players before him, Phillip moved to Sydney to play Grade Cricket and found a home at Western Suburbs. “He rose quickly through the ranks, debuting for NSW and scoring a century in a Sheffield Shield final at 19. For all his good humour he took cricket very seriously and always worked tremendously hard at his game. Despite being in and out of the Australian team during his emerging years Phillip never complained when he was dropped or overlooked. He always focused on making himself a better player. On Tuesday, Hughes was playing against his former state when he missed his attempted hook and the ball struck him below the helmet. He underwent surgery on Tuesday after being rushed to hospital from the SCG, and was then in an induced coma. 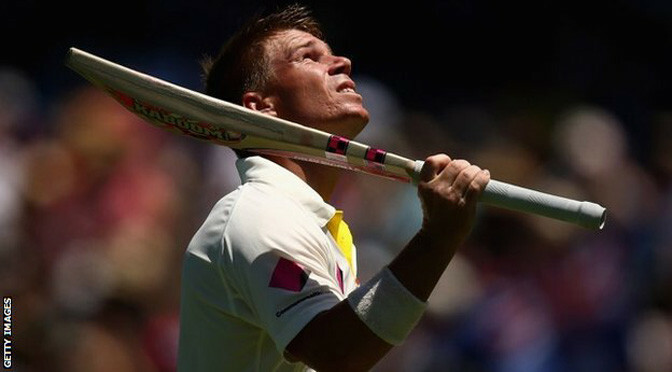 “Phillip was hit in the neck by a cricket ball at the SCG on Tuesday,” Dr Brukner said at a press conference on Thursday. “He momentarily stood up and then immediately collapsed on the ground. Phillip took the blow at the side of the neck and as a result of that blow his vertebral artery, one of the main arteries leading to the brain, was compressed by the ball. That caused the artery to split and for bleeding to go up into the brain. He had a massive bleed into his brain. This is frequently fatal at the time. Hughes played 26 Tests for Australia and scored three centuries, and he appeared a strong chance to win a recall for next week’s first Test against India at the Gabba, with Clarke expected to be ruled out due to injury. Hughes first emerged as an international cricketer on the 2009 tour of South Africa, where at the age of 20 in Durban he became the youngest man ever to score two centuries in a Test. He scored 26 first-class centuries and was a prolific scorer for New South Wales, for whom he had debuted at the age of 18, and later for South Australia. Hughes had been part of Australia’s most recent Test squad, for the series against Pakistan in the UAE, but he was not called on to play a Test in that series.